Evergreen Indiana cardholders (green and blue colors) have two options for digital content! If you do not qualify for a free Evergreen Indiana library card you can purchase a non-resident card ($54 for 2019) or PLAC card ($65 for 2019) to access this content. 1) eIndiana Digital Consortium (OverDrive) - Downloadable eBooks and audiobooks for most computers, smartphones, eReaders, and tablets. In most cases you will need to download and install software/an app to manage your downloads. Stream video and audiobooks on most computers, smartphones, tablets, and via Roku. Read magazines in your browser or via the Libby app. Visit the Kids & Teens Portal at http://cidc.lib.overdrive.com/youth. 2) hoopla - Stream/read audiobooks, TV episodes, music albums, films, eBooks, and comics on your computer with no waitlists...all titles are available all the time. 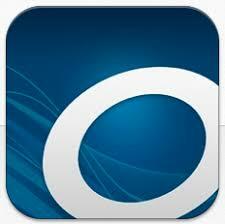 Download up to 5 titles/month to your smartphone or tablet via the hoopla app. Find more hoopla info here. 3) Kanopy - Access to thousands of entertaining, educational, and enriching films for all ages. Stream up to 6 films/month via computer or app (films checkout for 72 hours). Find the kids collection here. 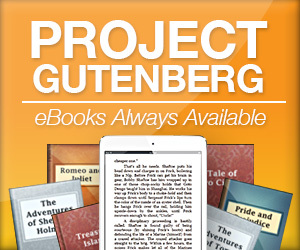 Project Gutenberg offers free eBook titles that anyone can check out! Have a new reading/listening/viewing device and need help? Running into trouble with the hoopla/Libby app? Not sure how to log in? We're happy to help you out! Just swing by the 2nd floor desk at the library, make a Book-a-Librarian appointment with a staff member, send an email to questions@greenwoodlibrary.us, and/or give us a call at 317-885-5036. Please have your library card and device handy!